I made the sketch at the Okanagan Observatory on July 9 2011. I used pastels on black paper along with a brush and smudging stump. The stars are a mixture of white charcoal and a white gel pen. The sketch was done with a 15″ dob using a 20mm Nagler as well as a Lumicon UHC filter. 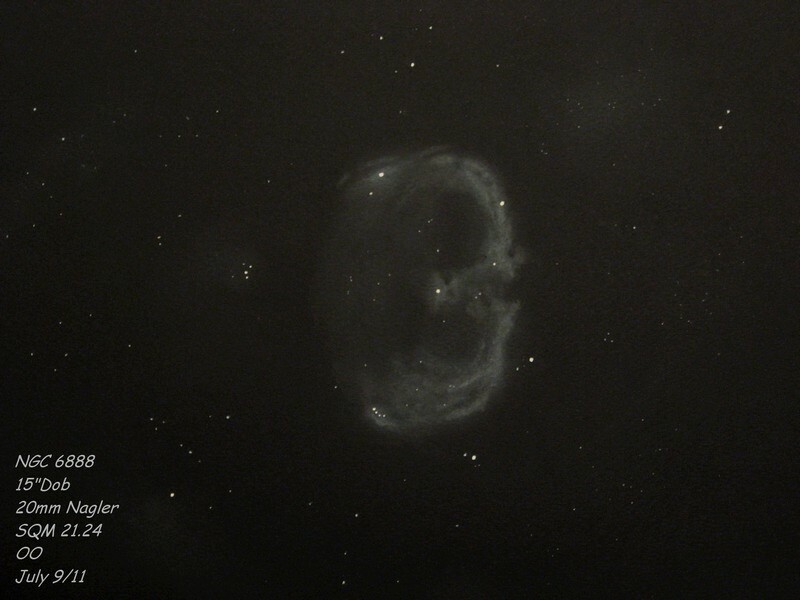 Very nice sketching to capture the Crescent nebula in all its glory.